Mold found in Ukiah Library reportedly shut down its children's room. Wanting to help the public kill mold safely anywhere it may be, My Cleaning Products then suggested the use of two mold remediation sprays made with organic ingredients. MCP advised a personal mold treatment instead. Nonetheless, it only recommends the use of Molderizer and Safe Shield for the process. Due to mold, the children's room in Ukiah Library was recently shut down. In connection with it, My Cleaning Products suggested two products that could help the public kill mold safely anywhere it may be. According to a report from ukiahdailyjournal.com dated December 14, 2013, the children section was shut down on Friday at 11 am, My Cleaning Products relayed. The closure, it shared, followed the discovery of the fungus and the inspection of Mendocino County Risk Management Division of the county's General Services Agency. It was said in the post that the mold was found in the windows throughout the building, related MCP. 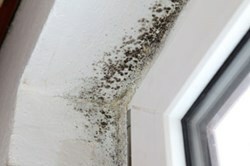 However, it detailed that extensive fungus was discovered in the room for the children, even on its wall and ceiling. And as it suggested, it was its effects to the kids' health that particularly got the area shut down for the moment. Here is an excerpt from the post Mold Found in Ukiah Library by My Cleaning Products. “A mold growth was recently discovered in Ukiah Library. And because of it, the management was forced to shut down its section for the children. MCP commented that it was a good thing the affected room was promptly closed as children, along with elders and people with weak immune systems, are most vulnerable to mold presence. However, it stressed that doesn't the rest of the population must not worry of its presence as it could still cause anyone a health problem. Because of that, My Cleaning Products advised the public to be watchful of mold signs. And if any of them is encountered, it advised everyone to find and kill mold immediately. That, it said, would prevent the worst of its effects. To do that, the company cited that one could hire a mold exterminator. However, it stated that it could be too expensive for others as a single professional mold remediation now costs around $1000. And so, if the mold spread is not more than ten square feet, MCP advised a personal mold treatment instead. Nonetheless, it only recommends the use of Molderizer and Safe Shield for the process. With them being both effective and safe, it asserted that they are the best. To see how well they work, the company encouraged everyone to try the Molderizer and Safe Shield Complimentary Samples. As it shared, they are available on its website at MyCleaningProducts.com.